Jimi Hendrix’ blues performances might be the most visceral, emotionally-charged music in his archive and the new deluxe edition re-release of the his Blues album, originally released in 1994, is Exhibit A. The set includes the 11 blues classics from the original album with a new, expanded, half-hour DVD from the Martin Scorsese Presents The Blues series as well as a new color booklet with some background information on the songs and history of Jimi’s exploration of the blues. 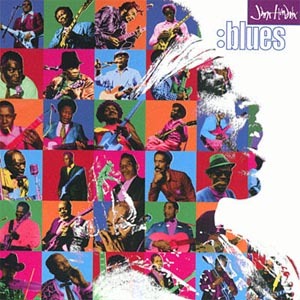 In the songs, which were recorded between 1966 and 1970, you can hear Jimi adapting and expanding on some of the music that was most influential to him such as the sounds of the Delta Blues players like Robert Johnston, Lead Belly, and Elmore James as well as Chicago Blues players like Muddy Waters and adding his own mark to them, which result in something that is uniquely Hendrix. It’s an essential album for any fan of Hendrix.